As a young covert CIA analyst, Jack Ryan uncovers a Russian plot to crash the U.S. economy with a terrorist attack. 14 years after the character’s cinematic debut, 2014’s Jack Ryan: Shadow Recruit brought the Tom Clancy franchise its second reboot. Here in August 2018, a third sits on the horizon via an Amazon Prime series with John Krasinski as our fifth Ryan. Clearly those behind Recruit hoped it’d launch its own new franchise, but its box office receipts prevented that. The film ranked in fourth place its opening weekend and mustered a sub-mediocre $50 million in the US. With a budget of $60 million, its $134 million worldwide take meant it ended up with an okay take, but it clearlly wasn’t enough to spawn a continuation of this rebooted franchise. A prologue introduces us to economics student Jack Ryan (Chris Pine) in 2001, as the terror attacks on 9/11 inspire him to join the Marines. During a battle, he suffers a severe back injury that requires months of rehabilitation. This comes with one perk, as Jack becomes acquainted with med student Cathy Muller (Keira Knightley). She resists his charms for a while, but eventually they become a couple. Along the way, CIA representative Thomas Harper (Kevin Costner) takes notice of Jack and offers him a gig. Jack goes undercover as a financial analyst on Wall Street and finds himself in deeper when he discovers anomalies at a Russian firm. After a little digging, Jack learns that CEO Viktor Cherevin (Kenneth Branagh) plans to stage a terror attack on the US. When this occurs, he’ll execute a massive sell-off of US money that will cause severe damage to the American economy. We follow Jack’s trip to Russia and his attempts to halt Cherevin’s plot as well as his attempts to maintain a good relationship with Cathy. She doesn’t know that he works for the CIA and becomes more suspicious. The Ryan series launched on the big screen with 1990’s successful Hunt for Red October and continued to prosper through 1992’s Patriot Games and 1994’s Clear and Present Danger. The franchise took a break for eight years before its return with 2002’s Sum of All Fears, the first reboot. It didn’t show Jack’s “origins” ala Recruit, but it made him younger and showed him earlier in his career than the prior three movies. Most of the movie’s appealing moments occur during its first act. While not especially inventive, I like the “origin scenes” with Jack, and the film launches its plot in an intriguing manner. We get to know the characters in a compelling manner and follow the beginnings of Jack’s investigation in a positive way. As it proceeds, however, Recruit loses steam and become less interesting. In the earlier movies, Jack comes across like the bookish, reluctant hero, but that sense doesn’t convey here. Sure, it pays lip service to Jack’s lack of comfort when he becomes involved in violence, but he makes the transition with perplexing ease. Essentially, this means that Jack goes from desk agent to James Bond in rapid succession. Even when it tries to paint him as unsure of himself, he seems pretty capable and unintimidated. We don’t find a lot of growing pains on display when Jack should come across as nervous and awkward. It doesn’t help that Recruit uses Cathy as little more than plot device/damsel in distress. It goes to illogical extremes to force her into the action and places her in the midst of matters solely to ratchet up the stakes. If someone can relate an organic reason for Cathy to show up in Russia, I’d like to hear it. To my eyes, she’s there for no reason other than to create artificial tension. Add to that a generic Russian bad guy in Cherevin and the characters don’t tend to come off well. Actually, I kind of like Harper, and Costner plays him in such a world-weary manner that he turns into the movie’s most interesting figure. Honestly, I wish we could watch a film about his adventures and leave behind Jack and company. Despite these issues, Recruit does manage to come to life on an occasional basis. It provides a mix of pretty good action scenes; for instance, the one in which Jack encounters his first threat turns into a tense little set piece. At 105 minutes, the movie also doesn’t overstay its welcome, so it moves at a pretty brisk pace. I just wish the product left more of an impression. Though Recruit boasts the skeleton of a good action movie, it lacks the substance to make it consistently effective. It comes with a quality first act and a few exciting sequences but can’t sustain itself. Jack Ryan: Shadow Recruit appears in an aspect ratio of approximately 2.40:1 on this 4K UHD Disc. This was a mostly appealing presentation. Sharpness became the only inconsistent element, as a handful of interiors came across as a bit soft. These remained in the minority, though, so the majority of the flick displayed concise, distinctive elements. I saw no jaggies or shimmering, and edge haloes failed to mar the image. Print flaws also didn’t appear. Here’s a shocker: Recruit opted for a palette with an obvious teal and orange push! Especially teal, as it happened, along with some yellow as well. I’m tired of these stylistic choices, but within the image’s parameters, they looked solid. The 4K UHD’s HDR capabilities added impact to the hues as well. Blacks showed good depth and darkness, while low-light shots appeared smooth and clear. The occasional soft moment made this a “B+”, but the picture worked well most of the time. I also felt happy with the solid DTS-HD MA 7.1 soundtrack of Recruit, though despite the movie’s billing as an action movie, it didn’t come with a ton of chances for auditory theatrics. The Afghanistan sequence at the start used the speakers to good advantage, and the climax also displayed dynamic material. How did the 4K UHD compare to the original Blu-ray? Audio remained identical, as both included the same 7.1 track. Finished in 2K, the visuals show an upgrade mainly due to the superior capabilities of the UHD format. Definition looked a tick stronger, but the main improvement came from the broader HDR colors and the tighter blacks/contrast. The 4K UHD didn’t blow away the Blu-ray, but it made for a decent step up. No extras appear on the 4K UHD itself, but the included Blu-ray copy provides materials, and we begin with an audio commentary from director/actor Kenneth Branagh and producer Lorenzo di Bonaventura. 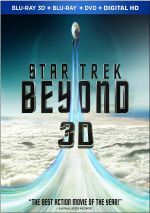 Both sit together for a running, screen-specific look at story/character domains, sets and locations, action and stunts, cast and performances, music, effects, and related topics. Branagh and di Bonaventura combine for a mostly good commentary. On the negative side, they engage in more general happy talk than I’d like, but they still manage to deliver a lot of useful notes about the film, so we learn a fair amount in this positive piece. Six Deleted and Extended Scenes go for five minutes, 10 seconds. Most of these add small tidbits; they can be fun but seem unessential. An alternate ending also appears and offers a mildly interesting change of pace from the finished film. We can watch the scenes with or without commentary from Branagh and di Bonaventura. They tell us about the sequences and why they didn’t make the final cut. Their notes add good insights, though oddly, they say nothing for the fifth scene. Four featurettes follow. Jack Ryan: The Smartest Guy in the Room runs 13 minutes, 37 seconds and includes notes from di Bonaventura, Branagh, director of photography Haris Zambarloukos, stunt coordinator/2nd unit director Vic Armstrong, producers Mace Neufeld and Mark Vahradian, executive producer/unit production manager Tommy Harper, and actors Chris Pine, Keira Knightley, and Kevin Costner. “Room” looks at the reboot of the Ryan series and story/character areas in Recruit, cast and performances, and connected elements. The program offers a smattering of good tidbits – especially when it looks how Recruit fits the rest of the series – but “Room” tends to be superficial and puffy. During the nine-minute, 49-second Sir Kenneth Branagh: The Tsar of Shadow Recruit, we hear from Branagh, di Bonaventura, Costner, Pine, Knightley, Vahradian, Zambarloukos, Harper, costume designer Jill Taylor, production designer Andrew Laws, producer David Barron, and actor Alec Utgoff. We learn what Branagh brought to the film, his performance, and how he worked on the set. This includes some nice footage from the shoot and a few decent details, but like its predecessor, it tends toward praise much of the time. 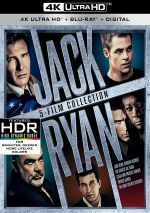 Jack Ryan: A Thinking Man of Action lasts five minutes, 19 seconds and features Branagh, Vahradian, di Bonaventura, Utgoff, Armstrong, Harper, and actor Nonso Anozie. This one looks at stunts and action. It gives us a smattering of useful shots and comments. Finally, we get Old Enemies Return. It fills 21 minutes, 13 seconds with material from Branagh, di Bonaventura, Vahradian, Pine, Utgoff, Washington University in St. Louis Vice Chancellor for International Affairs James V. Wertsch, Saban Center at Brookings Director of Research Daniel Byman, Johns Hopkins University Center for Transatlantic Relations Senior Fellow Michael Haltzel, and former CIA collection management officer Graham Segroves. “Enemies” looks at the current status of US/Russian relations as well as some history of that subject. With the emphasis on factual matters, “Enemies” becomes the disc’s meatiest piece; it’s a satisfying little show. With Jack Ryan: Shadow Recruit, we get a formal reboot of the Tom Clancy franchise, but not one that does enough to satisfy. While it comes with some good moments, it doesn’t sustain these and turn into a consistently winning effort. The 4K UHD provides good picture and audio along with a reasonably positive set of bonus materials. This becomes a decent but unmemorable thriller.